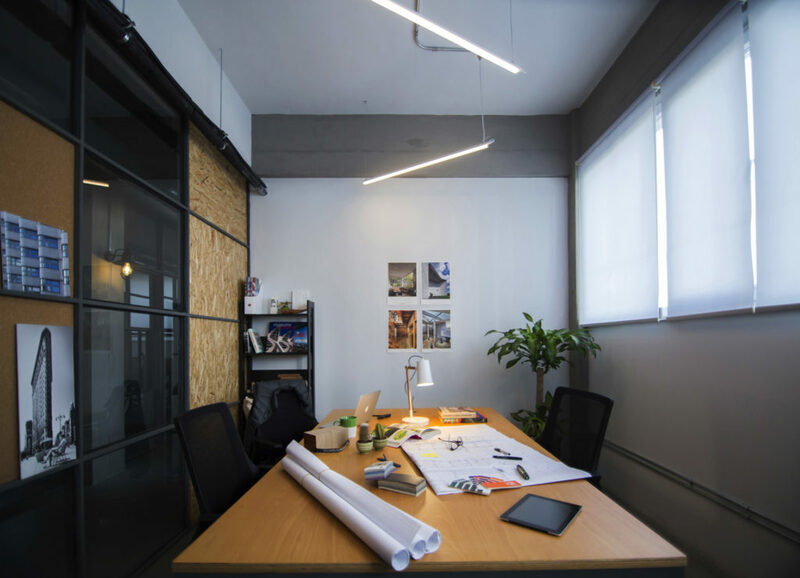 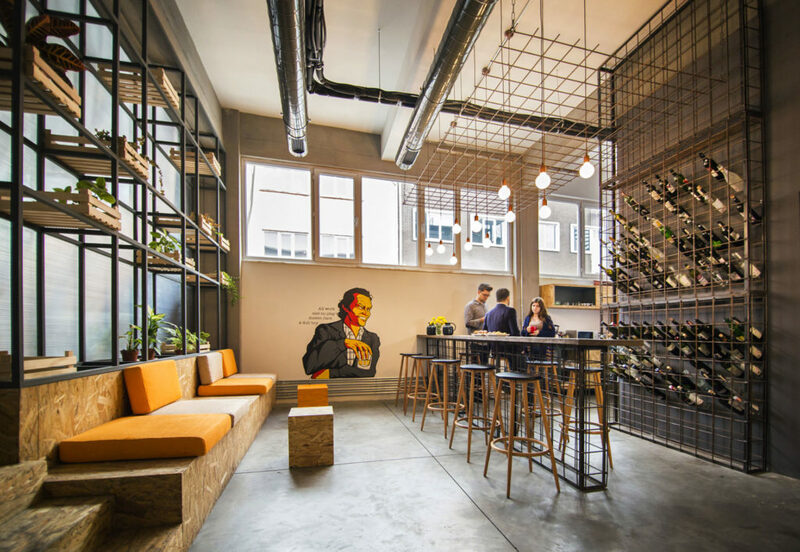 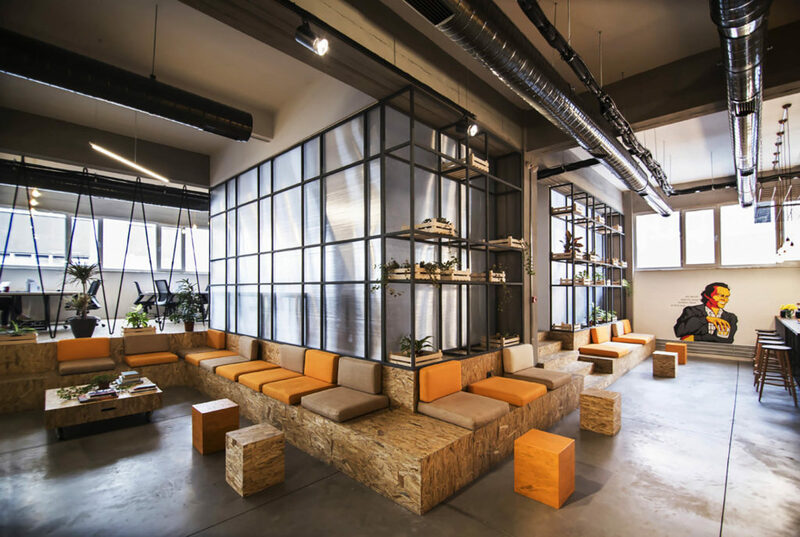 The Habita Co-working Office was designed by PAB Architects with a key focus on innovation, creativity and productivity through collaboration, interaction, and learning. 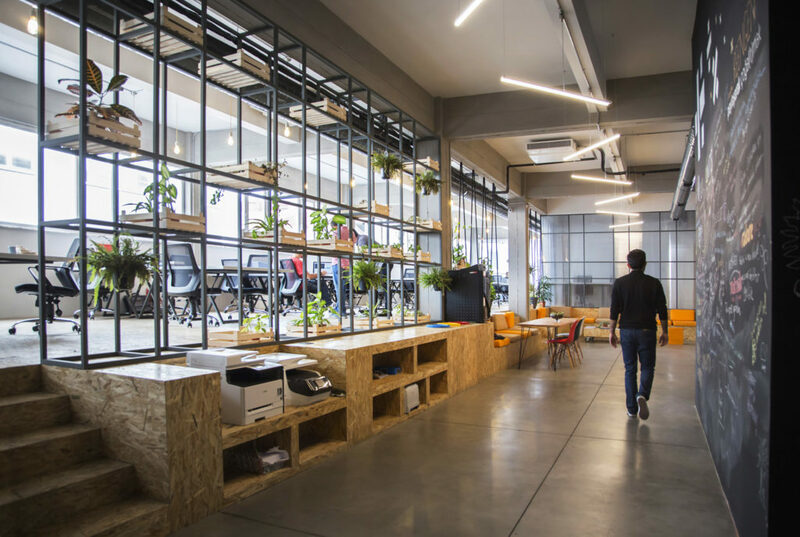 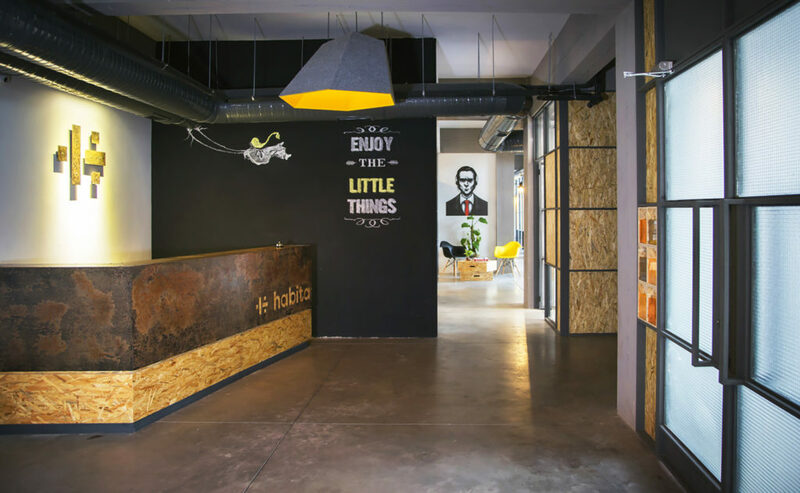 The entrepreneurs who founded Habita wanted to sustain a creative co-working community where people could learn from one another, both professionally and socially. 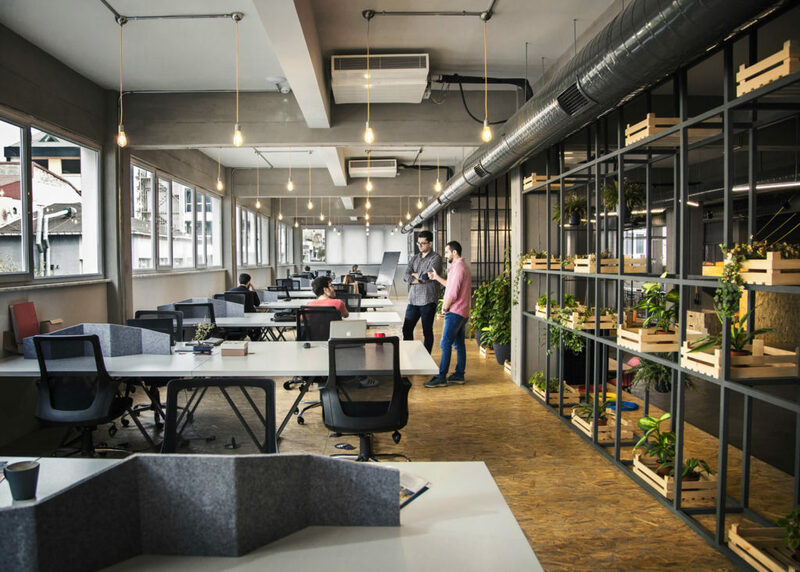 The space is designed with an open and transparent character, enabling interactions, and a flexible layout that allows users to work in different moods, privacy settings, seating arrangements and locations, thus providing multiple options for diverse work scenarios. 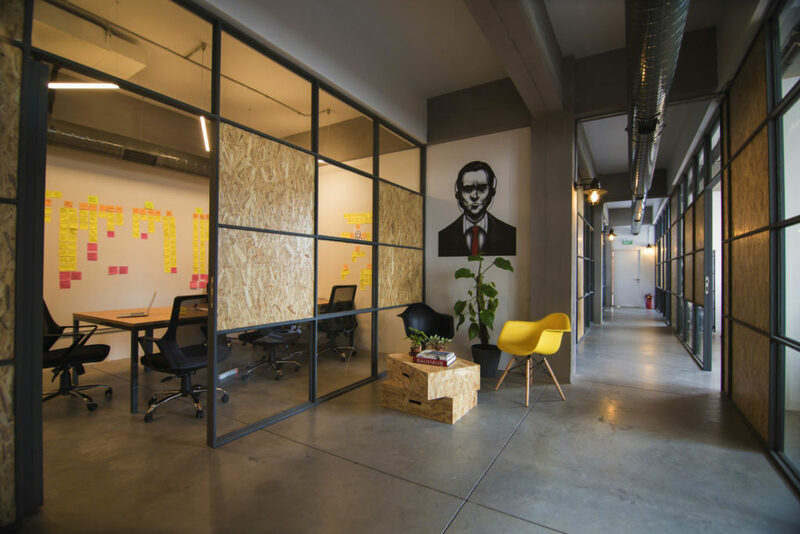 This dual working environment offers a private or diversified space with the potential of collaborations if needed. In terms of design, the hub has an industrial, neighborhood feel, with metal and auto workshops all around. 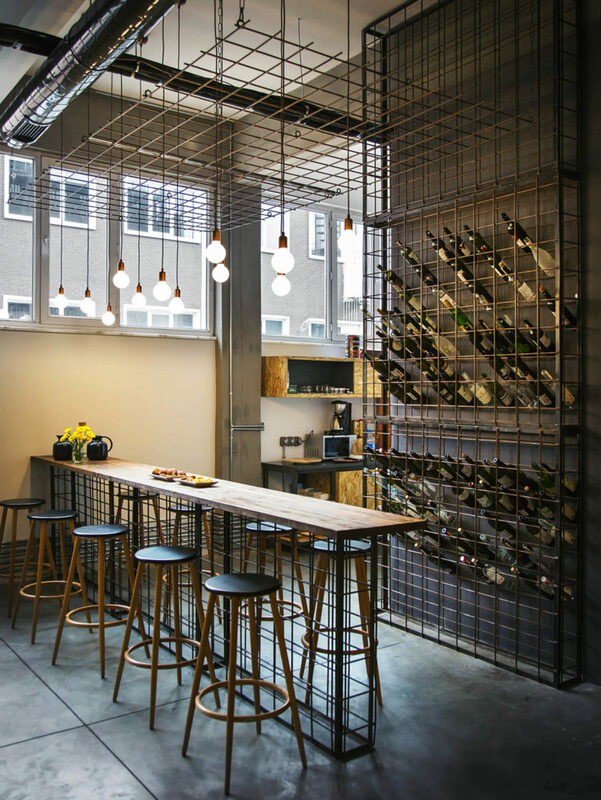 Natural and uncut materials, like osb, iron profiles, ropes, polycarbonate plates and greenery within wooden fruit boxes, also add character to the surroundings. 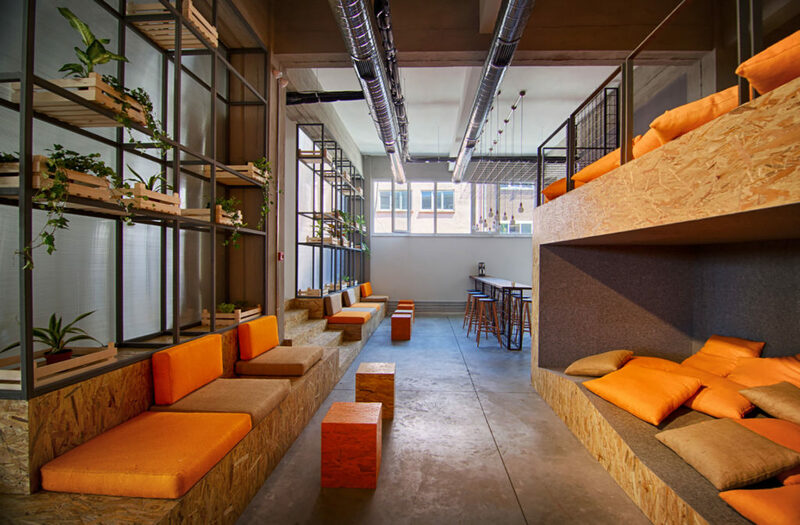 The main architectural motive was to have a design with no strict boundaries between working, resting and social space usage, with a mixture of private and open offices along with flexible working units set within the premises. 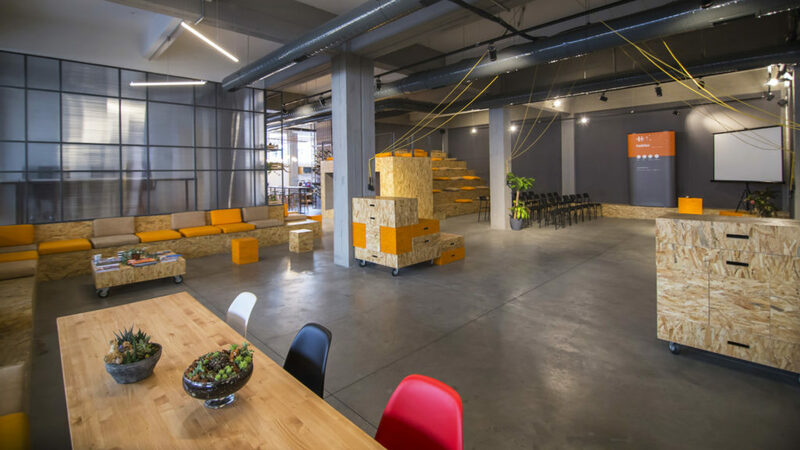 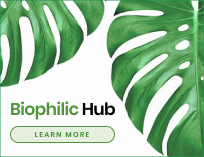 At the core of the hub lies an event space that hosts presentations, interviews, discussions, performances and workshops, with modular elements that allow easy modification of seating and event arrangements.